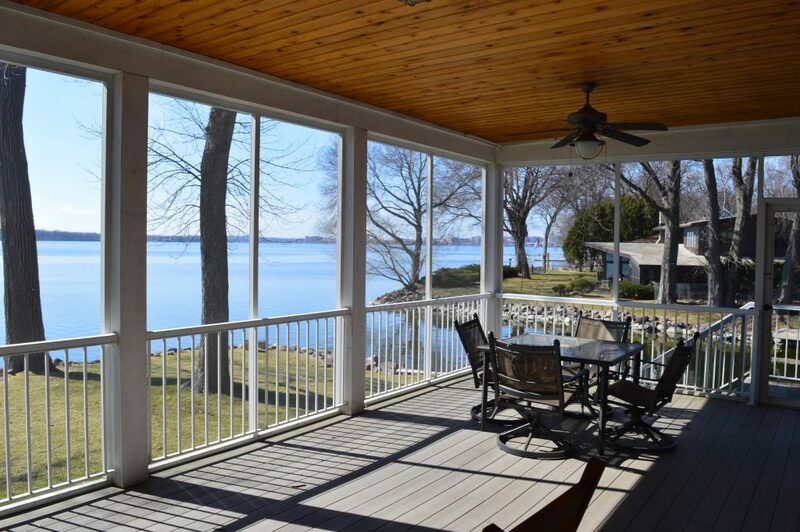 Rent this Beautiful Lake Monona home -1312 Pocahontas Drive, Monona, WI 53716 – Available August 1st! 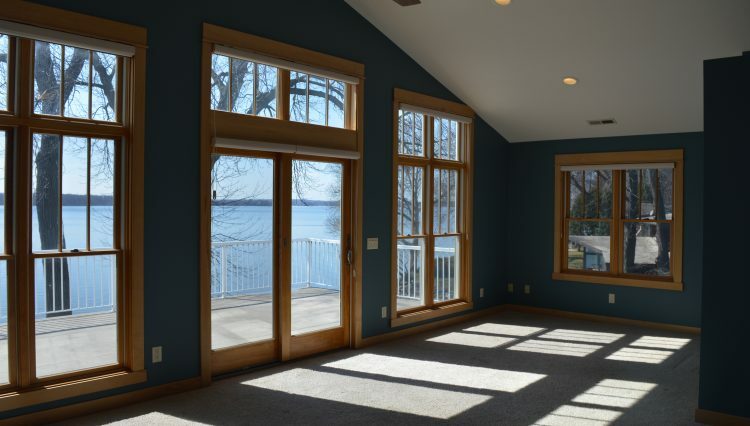 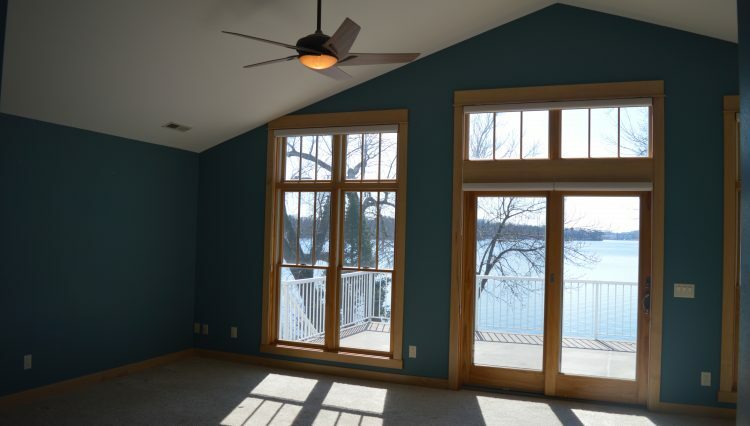 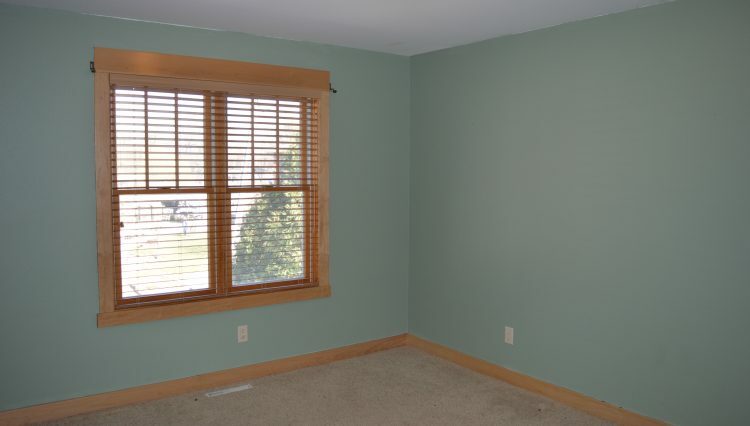 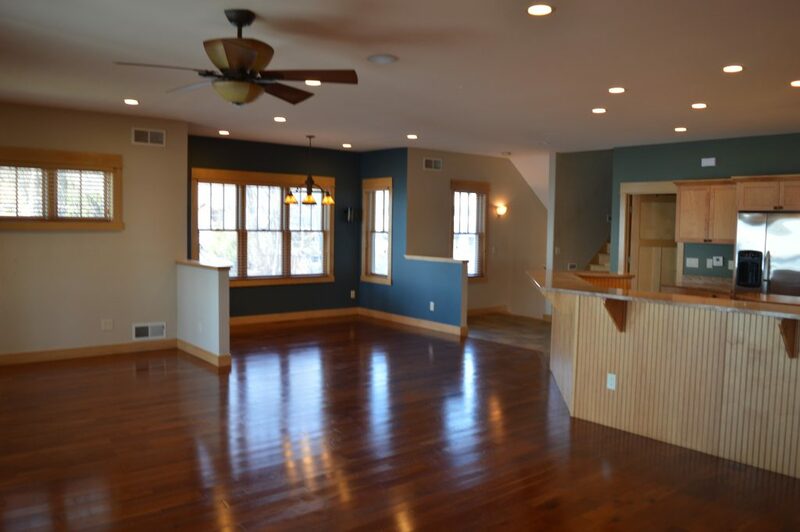 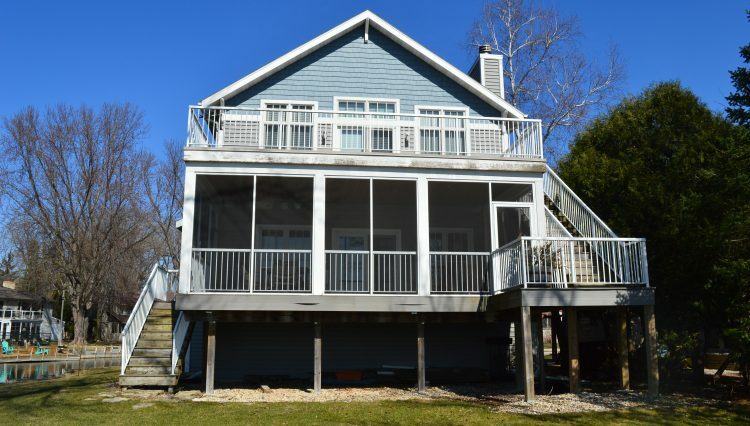 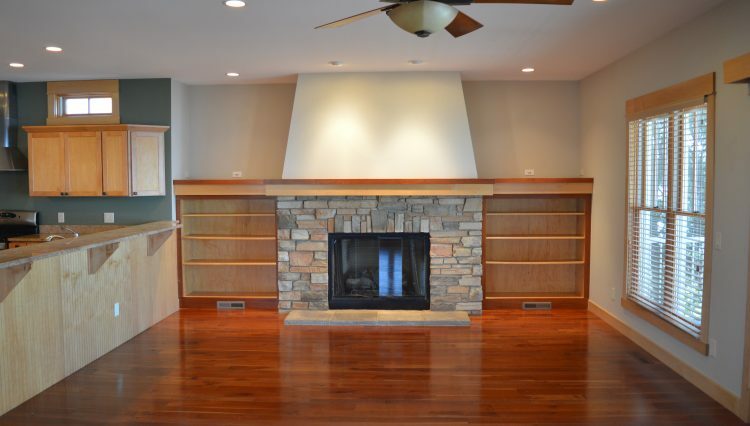 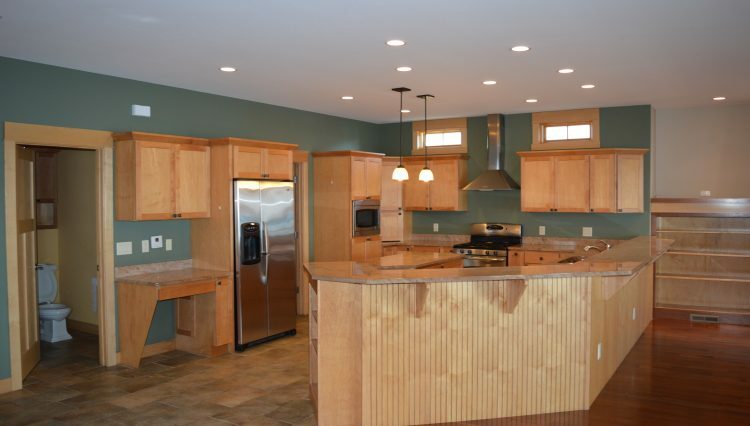 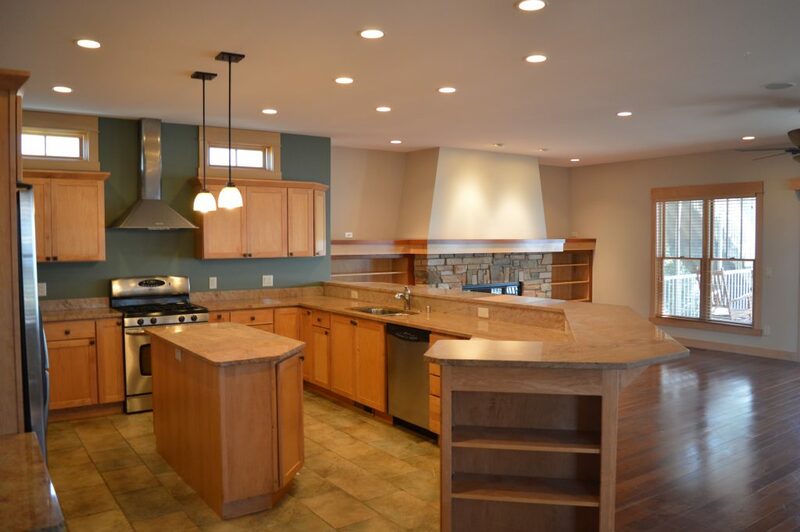 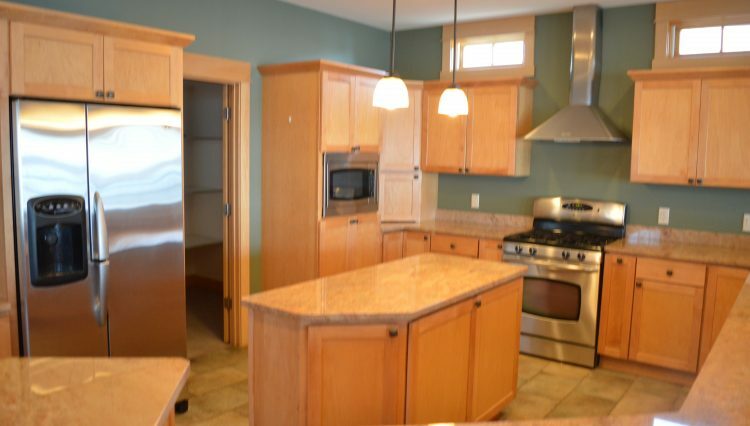 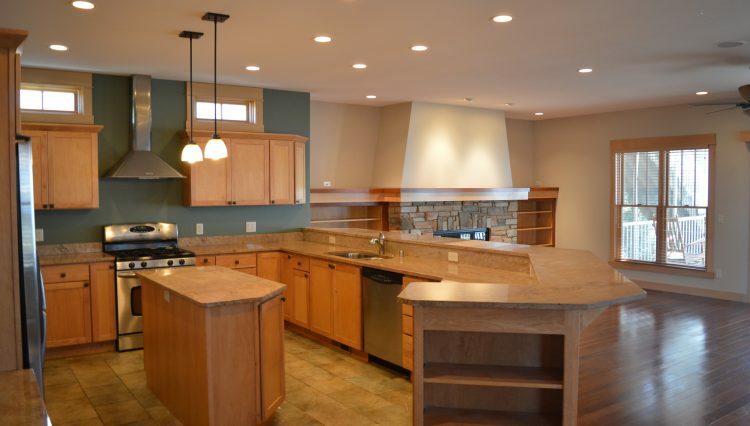 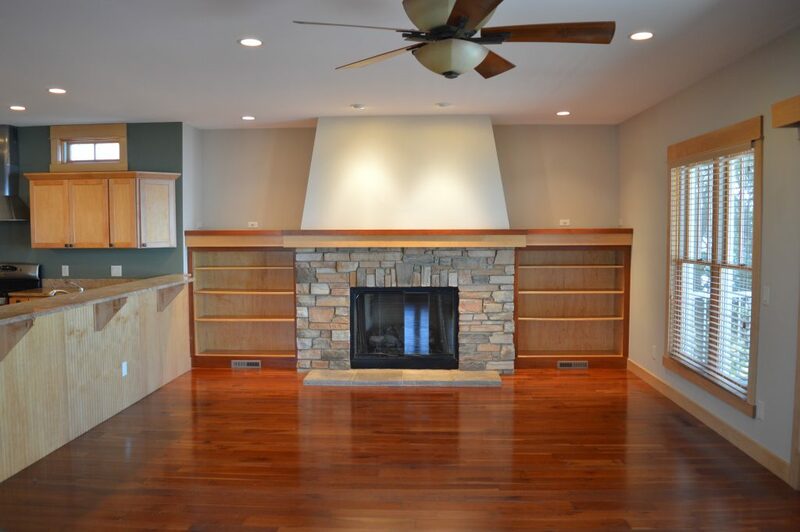 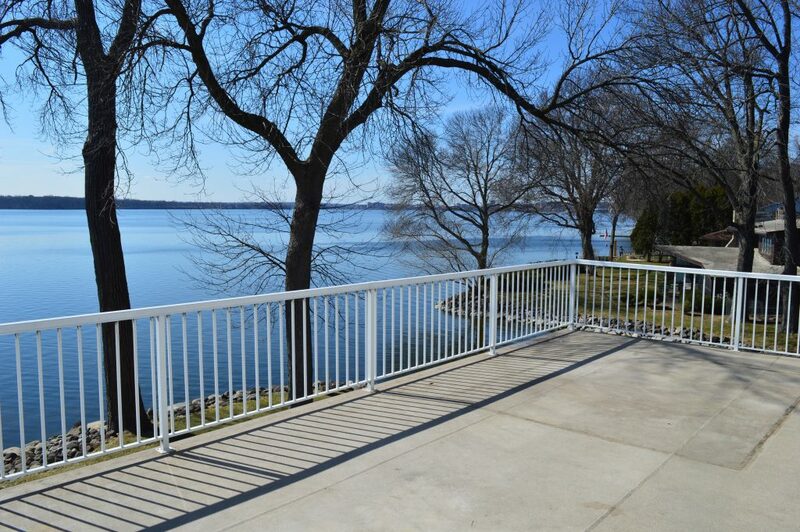 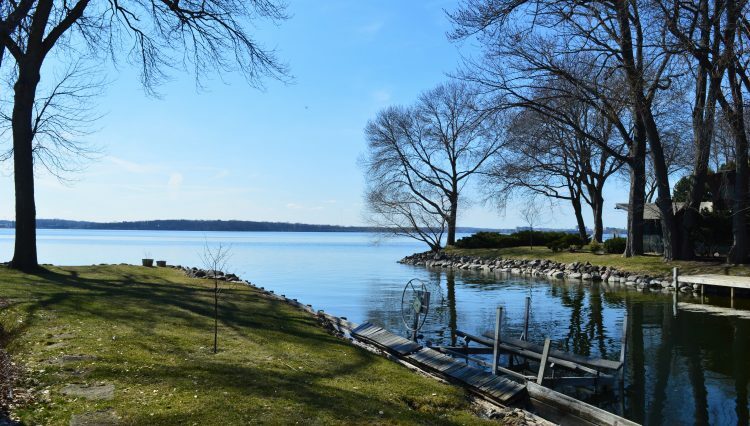 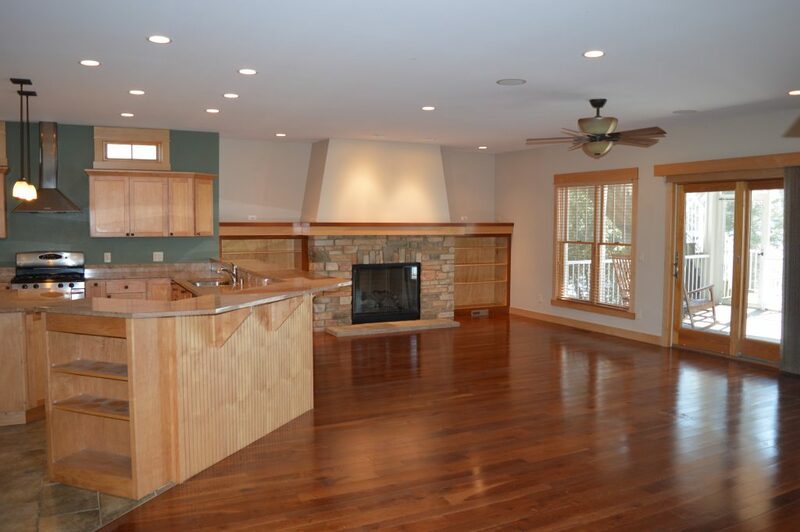 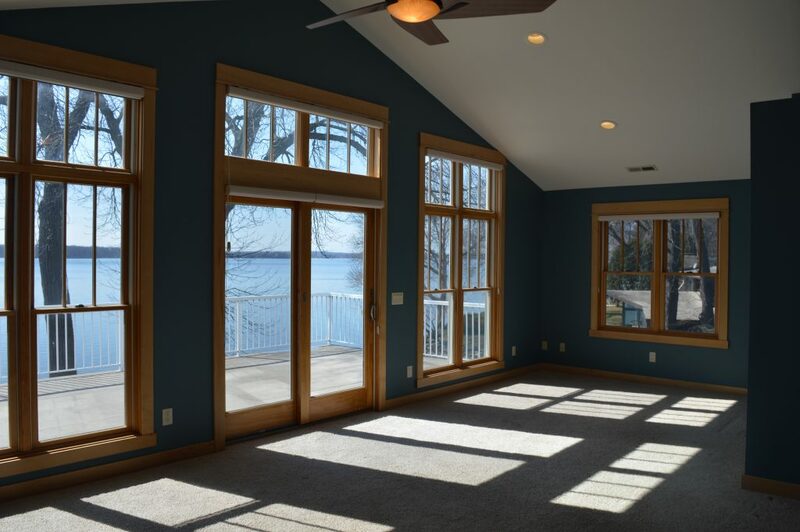 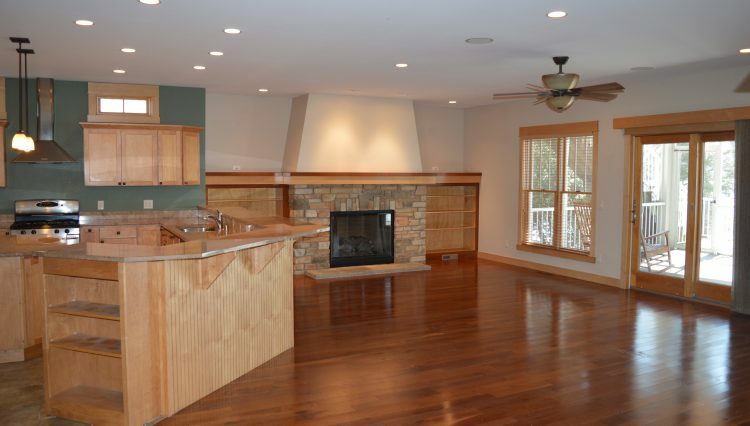 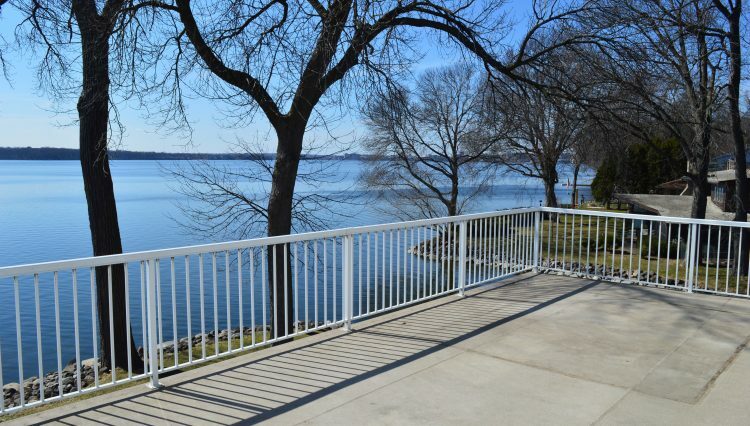 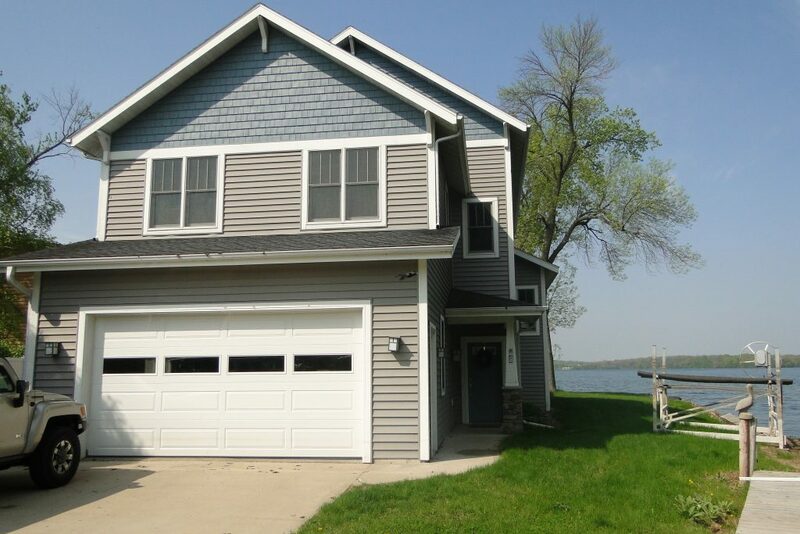 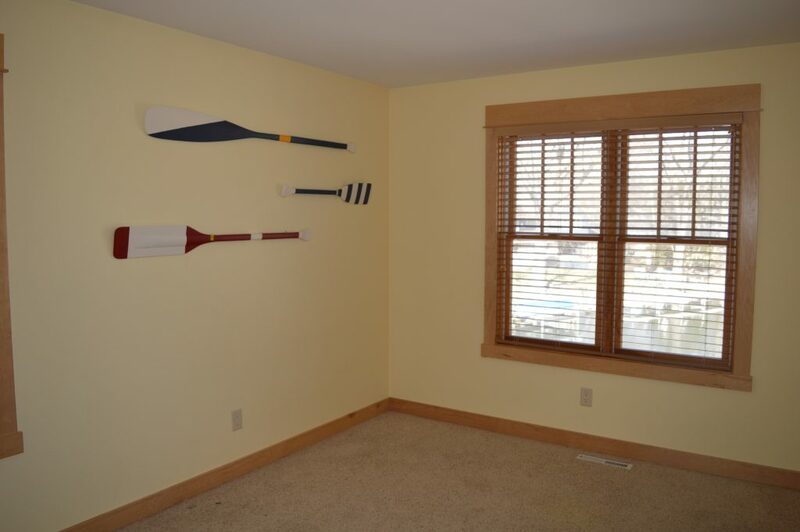 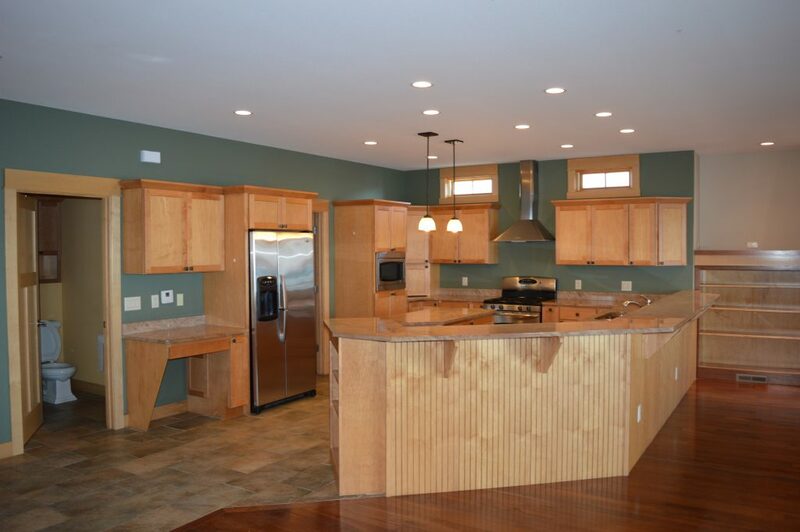 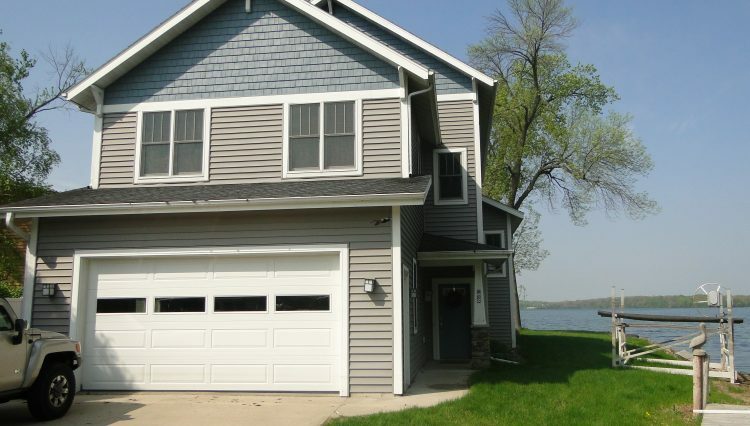 Rent this beautiful Lake Monona home with no compromises! 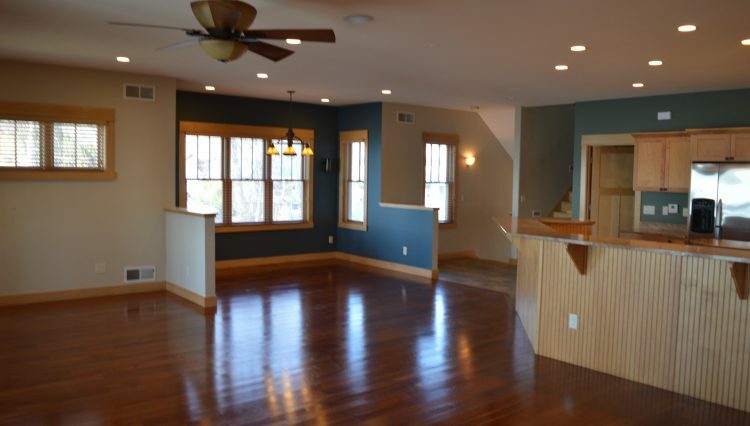 Beautifully finished main living area open between living room, dining room, and kitchen. 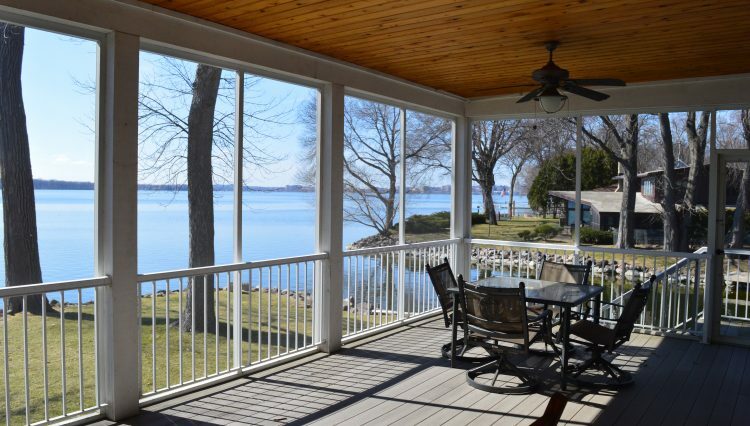 Great lake views, hardwood floors, gas fireplace with built in shelving surround. 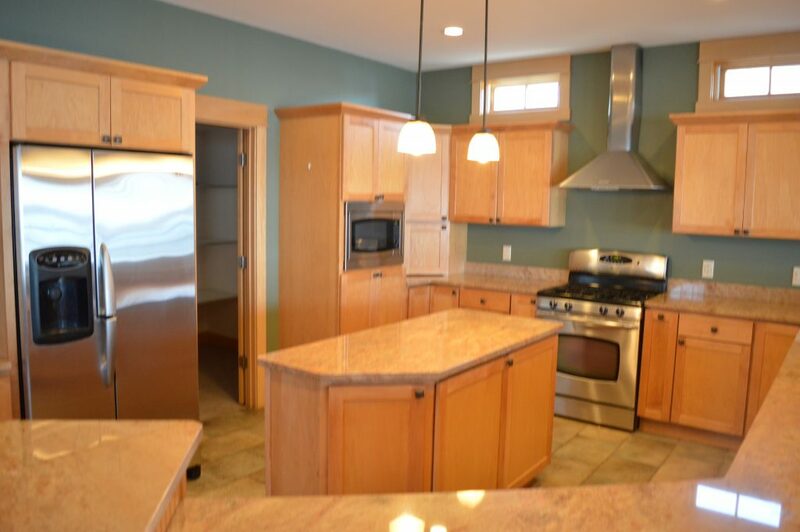 Entertain in the large kitchen with tasteful custom cabinets, granite counter tops and gleaming stainless steel appliances. 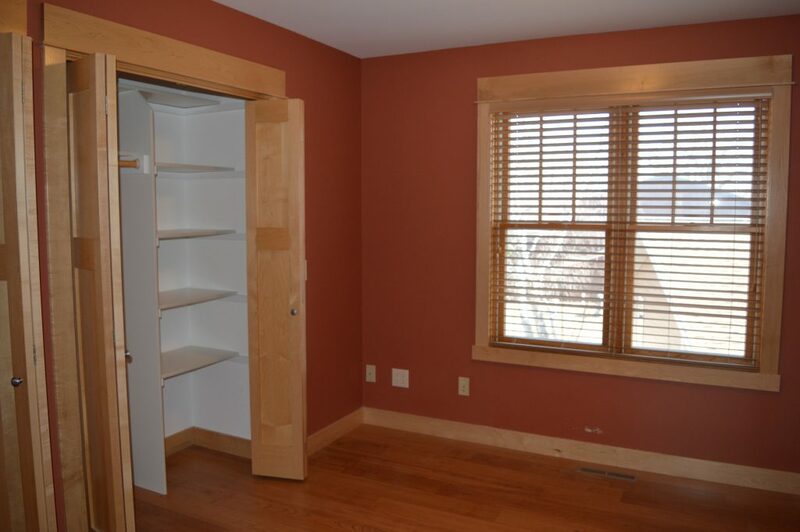 Full walk in pantry and powder room off kitchen. 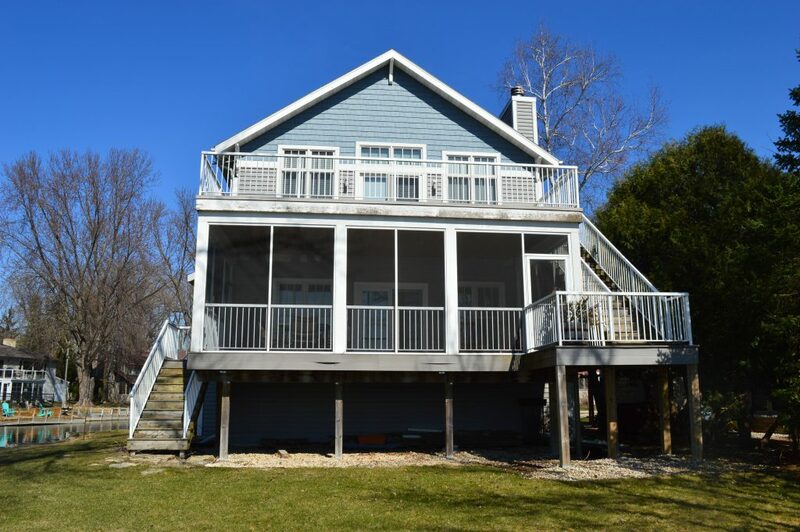 A screened porch across the back of the home offers seasonal dinning as well as stairs down to the yard and up to the master suite/deck. 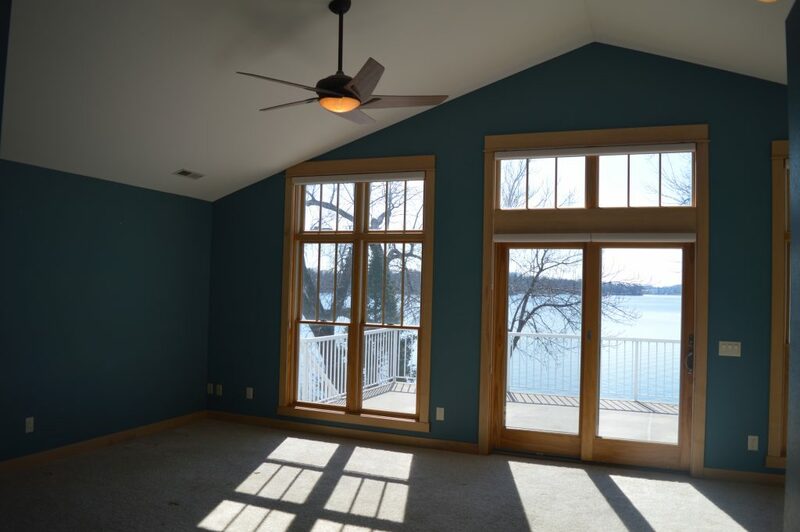 A vaulted master suite above has oversized transom windows across the lake side of the home. 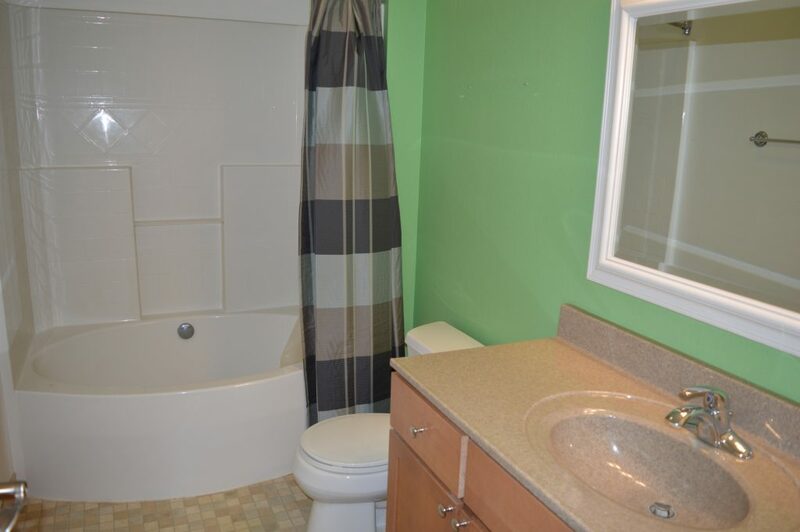 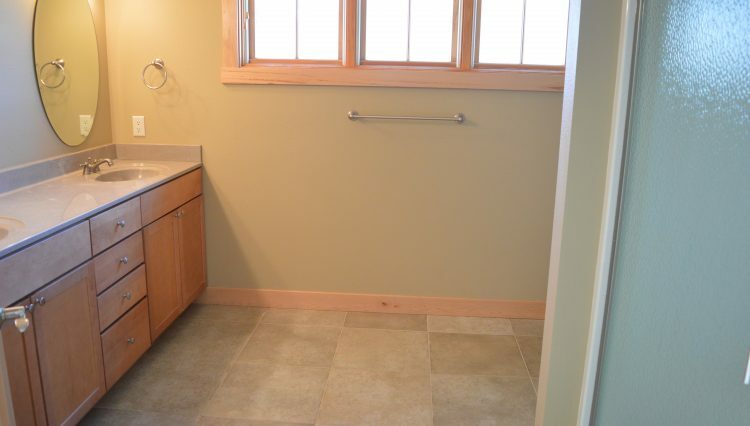 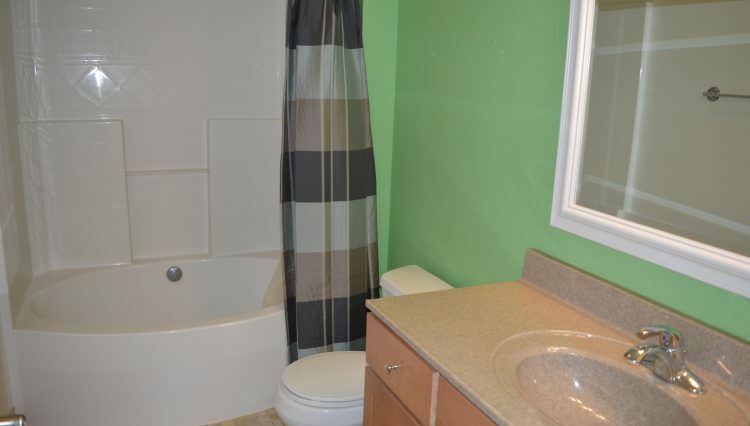 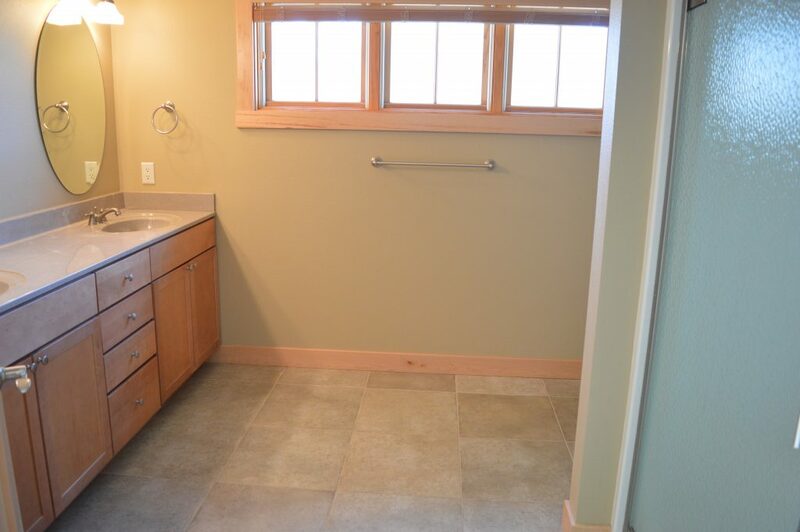 Large shower and double vanity in the bath and a walk in closet. 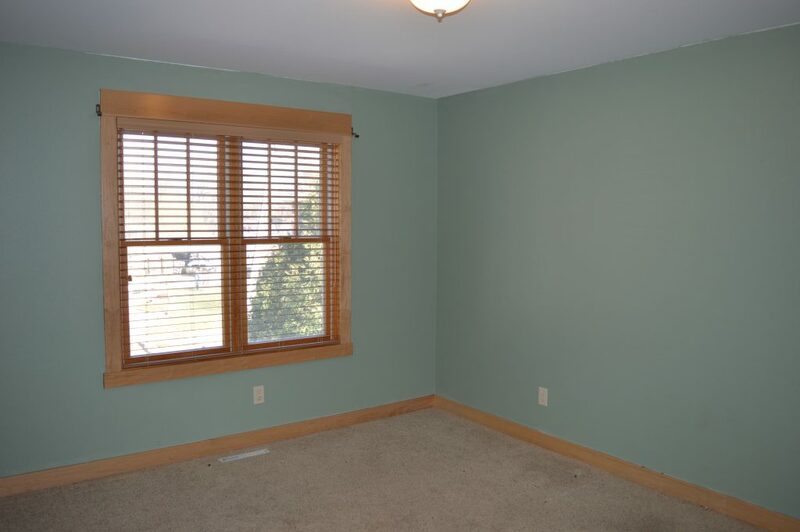 Another bedroom or office on the level, full laundry off the master level. 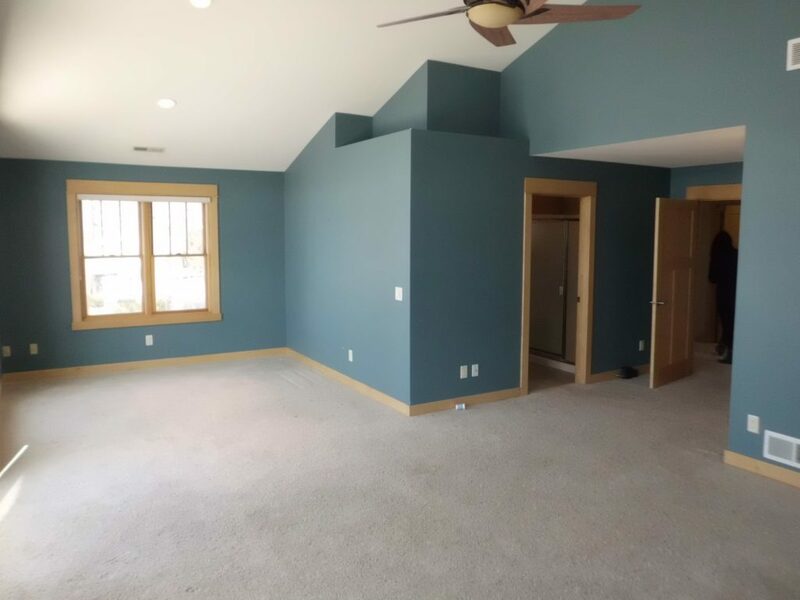 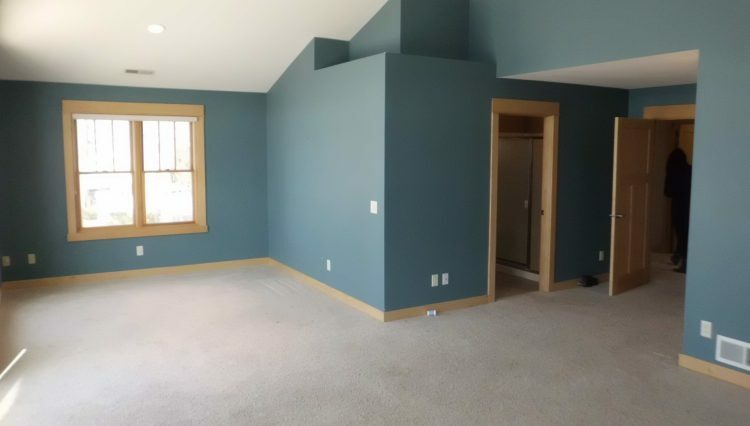 Half a floor down are two additional bedrooms and another full bath. 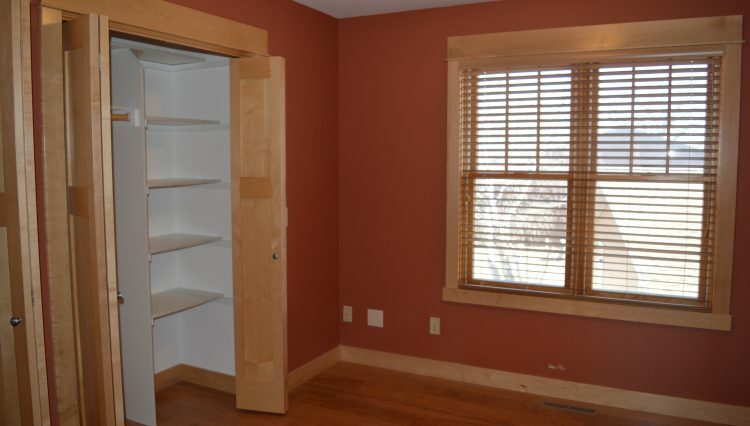 Ample dry storage in concrete 4 foot tall crawl space under the entire house. 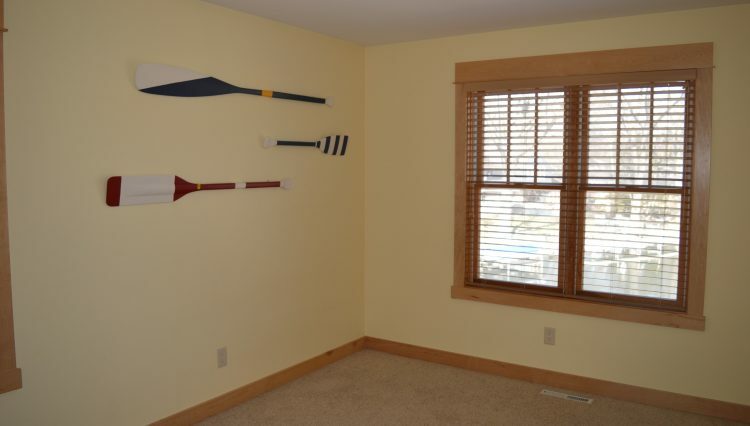 Two car garage deep enough for boat storage. 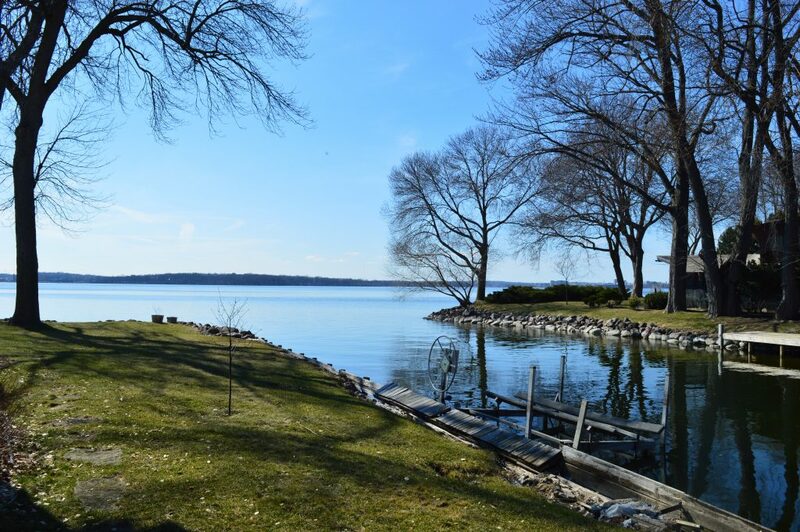 Large yard with mature trees.